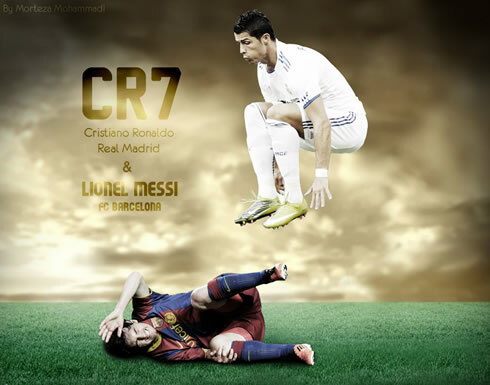 ﻿ Real Madrid vs Barcelona preview: The end of a hegemony? 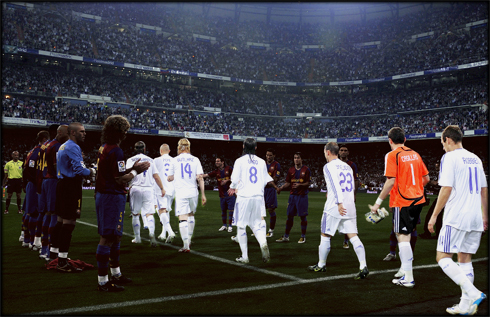 08.12.2011» Real Madrid vs Barcelona preview: The end of a hegemony? 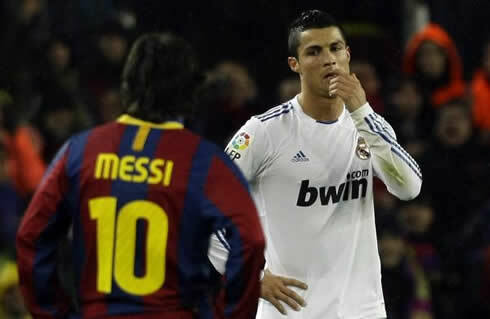 Real Madrid and Barcelona will clash this Saturday, for the first time in La Liga this season. Real Madrid currently leads the Spanish League table, with 1 game less disputed and a 3 points gap from Barcelona. If the Merengues manage to pull off a victory from the "Clasico", the title race may very well turn out to be a 1-way ride until the end. The "El Clasico" is right around the corner, as Real Madrid and Barcelona bump into each other this Saturday (December 10), in a "La Liga" fixture. Could we finally be on the verge of Barcelona's hegemony end? The "Merengues" haven't won a single game against Barcelona in the Spanish League, since May 2008 (4-1 win), in a total of 5 losses and 1 draw. However and for the first time in recent years, Real Madrid steps up to this match as slightly favorite, according to several football betting companies and sports bookie experts. The game will certainly be an exciting and thrilling one, as it has been an appanage of all the recent "Clasicos", but Pep Guardiola's men can't afford to lose this battle, otherwise they will risk seeing the gap to Madrid being extended to a 6 points margin, with still 1 game less disputed. If José Mourinho finds himself on top with a 9 points lead, then not even a Barcelona dream team will probably be able to catch up the Merengues. Real Madrid, who is currently in a 15-game winning streak (10 in "La Liga"), will host Barcelona in the best possible moment. In the other hand, the Blaugrana dropped 5 points in their last 5 matches for the Spanish League, after drawing 2-2 against Athletic Bilbao in San Mamés and losing 1-0 to Getafe, in the Coliseum Alfonso Pérez. Real Madrid seized that opportunity to takeoff and José Mourinho is certainly more than aware of the importance of such lead advantage. After this Saturday's "Clasico", Real Madrid next fixture in "La Liga" will be against Sevilla, in the "Ramón Sánchez Pizjuán" (17th December) and it could turn out to be crucial not conceding a loss to Barcelona, in the week before. Cristiano Ronaldo has been spared from the UEFA Champions League fixture this Wednesday, against Ajax, and it should be safe to say he'll be a starter against Barcelona on Saturday. The Portuguese player will be eager to improve his goalscoring stats, as he already counts with 17 goals in "La Liga" 2011/2012 and is actually tied with the Argentinian Lionel Messi. Real Madrid starting line-up against Barcelona won't be very easy to predict, since there are a few regular choices who are still recovering from injuries and José Mourinho tactical choices could easily provide last minute surprises. While Iker Casillas will certainly be on the goal line, the defensive line could suffer a few changes. The Brazilian left-back, Marcelo, has been struggling with a few minor injuries and if he doesn't get fit before Saturday, he'll probably be replaced by the Portuguese player, Fábio Coentrão. In the center of the defense, Pepe should line-up with Sergio Ramos, but the right-back spot is also prone to raise some questions, even though Arbeloa should have his place secured after performing well against Ajax. In the other hand, Lass Diarra could actually lack the required experience to play on that position against such a challenging opponent as it is Barcelona, but he might be a valid option for the midfield, if Mourinho decides to strengthen his team against Barça's "tiki-taka". However, we believe that the key changes can and will be driven in the midfield. With Xabi Alonso returning to his role as a starter, after having being suspended for 1 match and playing only for half an hour against Ajax, he should be the one dictating the Merengues game "tempo". It's natural that Mourinho may also pick Sami Khedira, in order to prioritize tactical concerns, which is exactly where the German player excels. But the surprise could come next, when deciding between Mesut Ozil, who has been accused of not peforming very well lately and being distracted with the glamorous Madrid night, or Kaká, who is actually completing his injury recovery plan. While going with Ozil could allow Real Madrid to handle the ball with more criteria, if Kaká is truly fit, he should be able to bring the speed and incisive runs on which the team seems to be exclusively dependent from Cristiano Ronaldo so far. As mentioned before, we can also witness an extra surprise with the inclusion of a 4th "natural" midfielder as it is Lass Diarra, but that would mean that Mourinho would abdicate of Real Madrid usual playing style that has given the club a 15-game winning streak, in order to forge a stronger midfielder that could dispute the ball possession against Barcelona. As for the 3 players assigned with the most attacking tasks, we don't expect to witness any big surprise. José Mourinho should stick with Angel Di Maria, by instructing and ordering the Argentinian to defend a bit more than what he's used to, when playing against less dangerous teams. Cristiano Ronaldo and Karim Benzema should complete the starting line-up, but the Portuguese player should be granted with enough "tactical freedom" in order to look for free spaces and confuse Barcelona's defending zone pressures. Anyway, this is just a prediction and we'll have to wait for Saturday afternoon to see what kind of strategy and line-up will José Mourinho use to approach this authentic clash of titans of Real Madrid vs Barcelona. Regarding Barcelona, the most concerning matter has been to know if Gerard Piqué was going to be suspended by the Spanish Football Federation committee, after a review of his action against Rayo Vallecano. The Spanish defender forced his 5th yellow card on the competition, in order to be suspended for the match against Levante, that was held this last weekend and by doing so, not risk missing the "Clasico" against Real Madrid on Saturday. However, the Barcelona defender escaped any further punishment, unlike what happened with Real Madrid in a very similar situation last season, in the UEFA Champions League, so Piqué will certainly be on the line-up this weekend. Real Madrid and Barcelona represent one the of biggest rivalries in sports and both clubs certainly have a very long and rich history in "Clasicos". Below, we computed a stats tables, that will help analyzing the extent of a Real Madrid vs Barcelona clash. 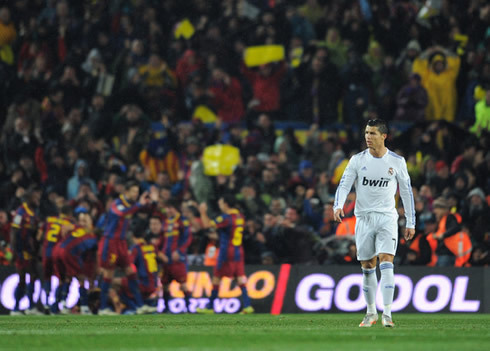 Real Madrid next game is against Barcelona, for the Spanish League "La Liga", on the 10th of December, 2011. After being spared against Ajax on Wednesday, Cristiano Ronaldo will most likely be on the line-up against Barça. This Saturday, you can watch Real Madrid vs Barcelona live but also Manchester United vs Wolves for the English Premier League. All these games are available from our football live streams section. You may check how much time is left for the next Cristiano Ronaldo game, by looking at the countdown timer, placed on the top right corner of all pages.